With Star Wars: Episode VII currently filming at Pinewood Studios in England, all the sneaky little Internet spies are working their hardest to squirrel out new information, footage, and pictures. And they’ve even succeeded a few times. In addition to the steady stream of plot rumors, shots of the Millennium Falcon set under construction leaked last month, as well as photos of creatures and cast from the Abu Dhabi. Well, this latest “leaked footage” at least does you the courtesy of winking at the fact that it’s totally not real…but it’s still pretty fun. 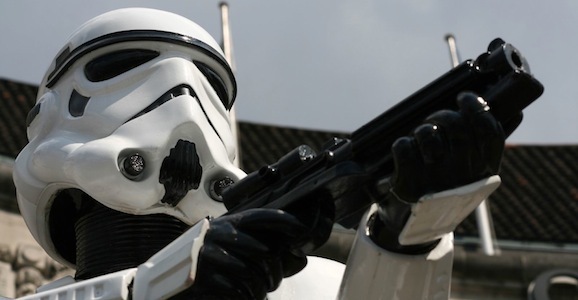 Star Wars has always had a thing for casting relatively unknown actors in key roles. Of the three biggest stars of the franchise—Mark Hamill, Carrie Fisher, and Harrison Ford—none of them were big stars at the time George Lucas cast them. Ford was by far the best known, but he was far from a household name before he played Han Solo. The prequels followed this pattern, with mixed results, and even though Disney now owns Lucasfilm, director J.J. Abrams and company are sticking to this trend for Episode VII, adding two new unknown faces to the cast. StarWars.com reports that the production has signed newcomers Crystal Clarke and Pip Andersen, both of whom were found during an open casting call that went down late last year. This sounds like it was one hell of an undertaking to settle on these two. More than 37,000 people showed up in 11 cities across the US and UK, while another 30,000 submitted their applications through online channels. One of the things I love most about GFR is discovering new artists or filmmakers or writers who weren’t previously on my radar and then diving into their work headfirst. Today’s particular rabbit hole (and mixed metaphors) are brought to you by artist Andy Fairhurst, who has put a new spin on beloved science fiction properties simply by approach them from a different angle: from the top down. 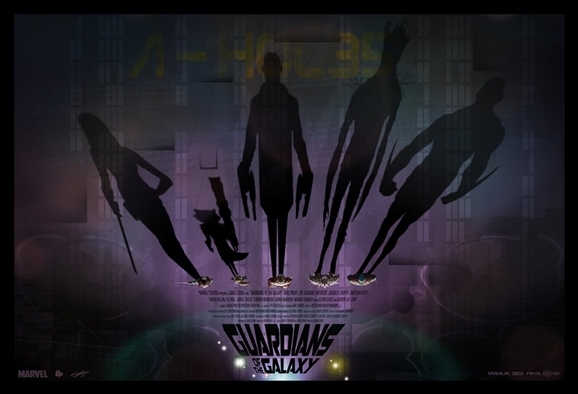 That Guardians of the Galaxy picture up top is one of my favorite things he’s done, just because it emphasizes something that some animator or comics artist once said, but I can’t for the life of me remember who: that a recognizable silhouette is key in creating a new costumed character. There are thousands of superheroes and villains who’ve been dreamt up over the decades, but the most iconic, the most legendary, almost all of those are instantly recognizable just from their silhouette. Or their shadow, as the case may be. In the wake of countless mass shootings at schools, nationwide retail chains, and countless other public spaces—there’s seriously a website called Mass Shooting Tracker—people are, understandably, a bit jumpy when folks show up with guns, even fake ones. A man dressed like a Stormtrooper from Star Wars recently kicked off something of a panic in Kansas. KSAL, a radio station in Salinas, KA, reports that a local merchant called 911 when he spotted 27-year-old Chris Burns wandering the streets dressed up like one of the faceless foot soldiers of the Galactic Empire from George Lucas’ beloved space opera. The business owner feared that what he saw wasn’t a dedicated fan indulging in a bit of cosplay, but an armed individual roaming the streets of his hometown with what he thought was an AK-47. What he saw was a masked man toting what appeared to be a very real weapon. The Star Wars saga spends a great deal of time on family. There’s the families we’re born with, the families we choose, and now, J.J. Abrams and company have added a touch of real life family to the proceedings, casting Carrie Fisher’s daughter Billie Lourd in Episode VII. 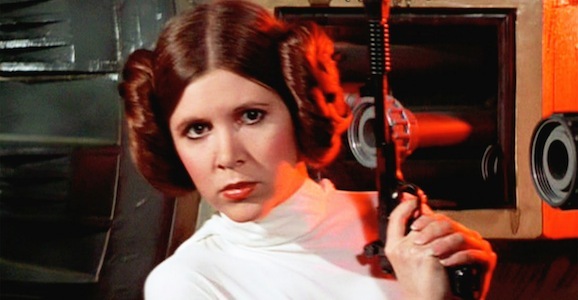 The Daily Mail reports that the 21-year-old Lourd, still a relatively unknown commodity, has joined the highly anticipated space opera, and that she will play a younger version of her mother’s iconic Princess Leia. According to the article, Lourd was chosen because of a striking physical similarity to her mother—imagine that, mother and daughter look a lot like each other. As this is unofficial, we can neither confirm nor deny the authenticity of this bit of news, but it’s a fun little piece of speculation. 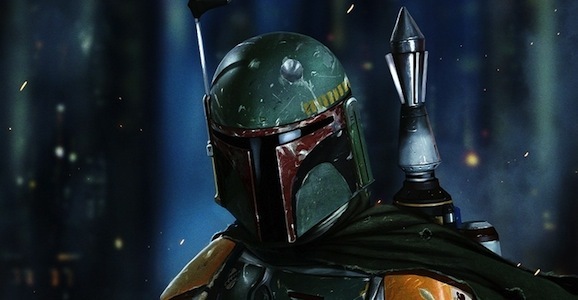 It looks like the Star Wars Boba Fett spinoff movie has found its lead actor. Temuera Morrison has been tapped to portray the iconic Mandalorian bounty hunter. The New Zealand-born actor is most known for another role in the Star Wars universe: Jango Fett in Attack of the Clones. Jango is the ostensible “father” of Boba, an identical genetic clone that he raised as his own son. So if you were wondering how one actor can play both father and son, that’s how they’re going to pull it off. This won’t be Morrison’s first go round as Han Solo’s arch nemesis—or one of them anyway, the guy has made some enemies. Morrison also voiced Boba Fett in a 2004 special edition of The Empire Strikes Back.